The Queen, Trudeau’s chief fundraiser and Trump’s commerce secretary among the names revealed in documents. The Queen, Prime Minister Justin Trudeau's chief fundraiser and U.S. President Donald Trump's commerce secretary are a few individuals — along with the world's biggest businesses and politicians — whose names appear in a new massive leak of offshore tax-haven records. Dubbed the Paradise Papers, the 13.4 million records come primarily from Appleby, one of the biggest offshore law firms in the world. The leak was obtained by German newspaper Sueddeutsche Zeitung and shared with the International Consortium of Investigative Journalists and a network of more than 380 journalists in 67 countries, including CBC/Radio-Canada and the Toronto Star in Canada. The documents revealed that the Queen — through investments made by the monarch's private estate, the Duchy of Lancaster — has held stakes in funds that operate in tax-free havens. "It's important to point out ... that there's no wrongdoing here by the Queen herself," Will Fitzgibbon, a reporter for the International Consortium of Investigative Journalists, told The Current's Anna Maria Tremonti. "The queen voluntarily pays taxes as she was wont to tell us. But once again, what we see is a secretive financial system that even those who use it don't know how it functions, let alone the rest of the world, let alone the people over whom she sits." 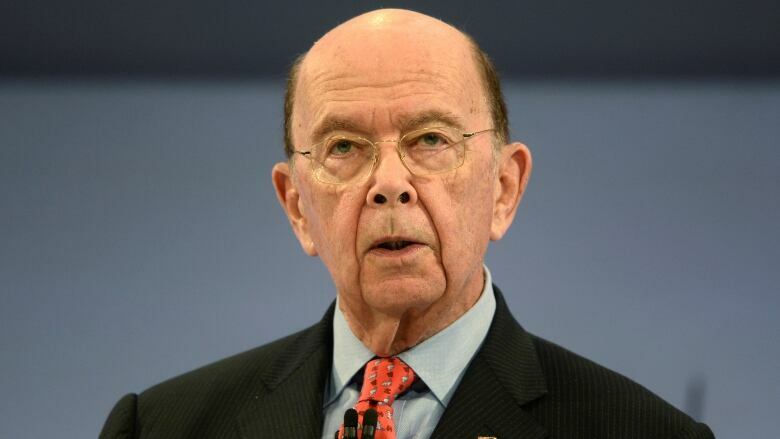 The documents also revealed U.S. Commerce Secretary Wilbur L. Ross Jr.'s stake in a shipping firm which has ties to Russian President Vladimir Putin's son-in-law and a Russian tycoon subject to sanctions by the U.S. Treasury Department as a member of Putin's inner circle. "People are now asking what on earth was the U.S. commerce secretary doing having a corporate relationship with Russian entities so close to the Kremlin?" said Fitzgibbon. Ross told the BBC that there was "nothing improper" about his business links, and he also denied he had failed to disclose the information. "This offshore world is so complex," Fitzgibbon said. "You have to drill down into such detail that the disclosures weren't clear not only on the public record but to senators to whom journalists working on this project have spoken and that's why we've now seen Democratic senators say, 'Oh my goodness, I had no idea. Someone needs to launch a probe into this.'" CBC News reported that the records also showed that Canada is one of Appleby's biggest markets for offshore financial services clients, behind the U.S., the U.K. and China. One of the Canadian names revealed in the leak: Stephen Bronfman, heir to the distiller Seagram family fortune, Liberal fundraiser and close friend of Prime Minister Justin Trudeau. After the LIberal Party's election win, Trudeau said the government got elected "on a promise to make sure that people were paying their fair share of taxes." But an investigation by the CBC, Radio-Canada and the Toronto Star revealed that Bronfman and his Montreal-based investment company, Claridge Inc., were key players linked to a $60-million U.S. offshore trust in the Cayman Islands that may have cost Canadians millions in unpaid taxes. An offshore entity in the Cayman Islands called the Kolber Trust was set up in 1991 by Leo Kolber, who at the time was Claridge chairman and also a Liberal senator, CBC's Gillian Findlay told Tremonti. For years, Kolber had been a major Liberal Party fundraiser, according to Findlay. "He jokingly refers to himself as the family's 'consigliere.' He's Stephen Bronfman's godfather." Findlay said Bronfman's lawyers did contact CBC's The Fifth Estate. "To be clear … they insisted their clients have done nothing wrong. They've always acted ethically and in compliance with the law, they said in a statement . They also said that under their interpretation of Canadian law, the trust would never have been liable for taxes here. So there was certainly no tax evasion, they say." The big issue: Was this really an offshore trust? It's a decision that only the Canada Revenue Agency can make at this point, said Findlay.